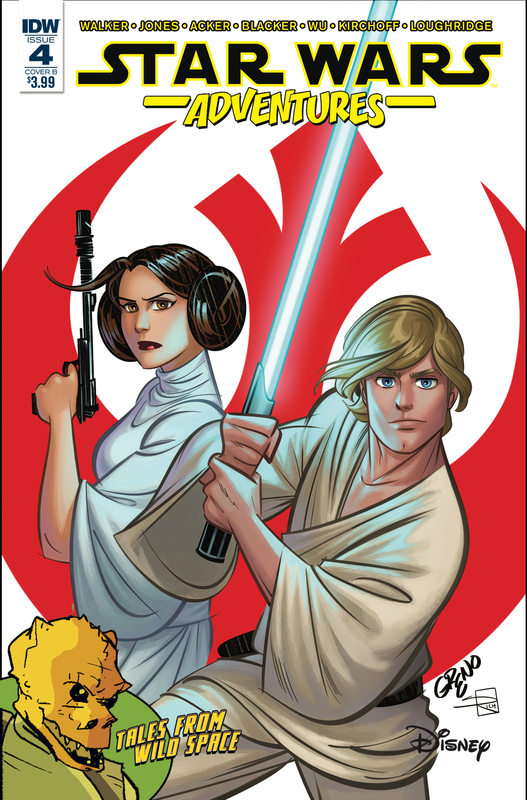 Star Wars Adventures #4 is out and available at your local comic shop. You typically get at least two stories out of these books and of course in this issue you get two stories with one of them being a “to be continued” which just adds to the excitement and expectations of the next issue coming out. 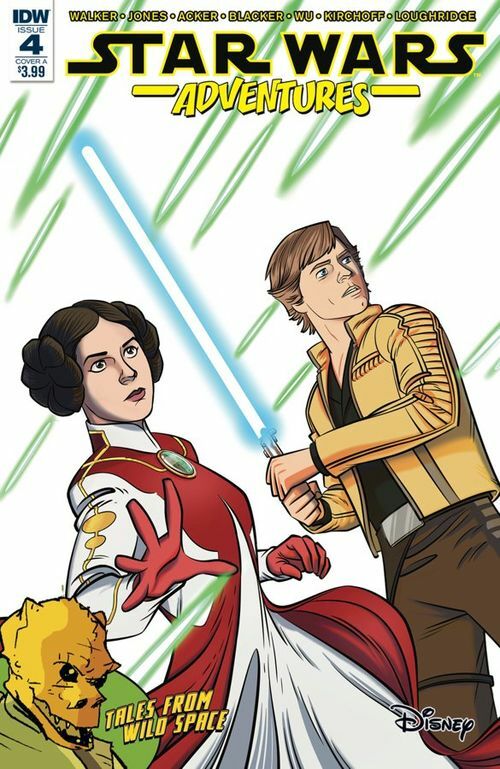 One story always seems to include the characters we already know and the other story introduces us to some new characters in the Star Wars Universe. I was able to find two covers available at my local comic shop. Both covers are fun and colorful and quick to grab your eye. Thankfully my comic shop knows I like to collect my covers and pulled both of them aside for me. In this issue the first story is, The Trouble at Tibrin, and we find Luke and Leia on a diplomatic mission to the planet Tibrin. With them are a couple overly eager crew members that just don’t know when to stop talking that lands Luke and Leia into some hot water. It was nice in this story to see some credit given to Episode 1 and a ship similar to what we see Queen Amidala flying around on. In the second story we find our typical characters Emil, Noni, and CR-8R (also known as Crater) and a short flash back story of some characters we get briefly introduced to. The story is short and I think it’s meant to help teach kids life lessons and how to make the best decision for both themselves and those around them. Overall I give this issue a 10/10. I came into this series skeptical because it looked like they were going to be childish and not appealing to adults but at this point I am content with this series and plan to keep reading them. The artwork and coloring is impressive and I plan to introduce this series to my kids.